As a real estate agent it is really easy to feel like you’re on an island sometimes. Most agents these days are exceptionally mobile. They work from home, the car, the coffee shop, their clients’ homes, and all points in between. The downside to that mobility is that it follows you everywhere. You never really escape. At the same time, though, despite the increased connectivity, you can feel really alone. In years past, you would have been at a desk in the office and your colleagues would have experienced things with you. Today, you probably don’t interact with a lot of other people who are going through the same thing. Like I said, sometimes you just feel like you’re on an island. At some point, you have to get away from it all. You need a break, maybe to go to a real island. So, who is going to take care of your business while you’re away? If you don’t have an answer to that question, it might be time to find a working partner. A working partner can not only be your trusted resource when you’re away, but can also help you build your business over time. If you don’t have one, get one. Choosing the right person to be your working partner is the most important step, and as you read below, you will see why. First and foremost, this person needs to be at the same brokerage for reasons that should be relatively obvious. Second, don’t choose someone because they’re your buddy. Choose them because they challenge you. Choose them because they are someone who treats their business and their clients like you would treat your business and clients (or would like to). Choose them not because you like them but because you would like to be more like them. Great working partnerships are forged out of mutual respect for each other’s abilities, not just because you’re friends. The friend part often comes as a side effect of the partnership. What makes for a great relationship with your clients? Setting expectations and communication. You know that. The mark of a true professional in this business is the one who has developed systems and processes in their business that set and reinforce expectations through communication throughout the transaction and beyond. 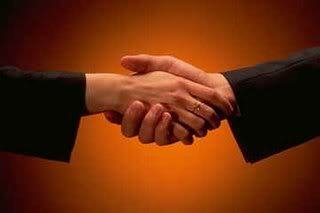 So, why would anything differ in your working partnership. Lay down the ground rules up front, follow them through, and get feedback on how it’s going. Change what needs to change to benefit both of you and keep the relationship healthy. The beauty of the working partner is the peace of mind you can have if and when you take a vacation, need a break, or have to leave town in a hurry. To make it a true partnership, you must have systems in place for handing over your files to your partner so the level of service to your client doesn’t slip and so your partner can pick them up and start working without having to spend hours trying to figure out what is going on in each transaction. Plan it out in advance. Make sure you have communicated to your clients in advance that you are leaving town and that your partner will be handling anything that comes up. Your end goal here is not only to make it easy on your partner, but give you the ability to truly disconnect and recharge. So, there you have it. By following these steps, you can create a working partnership that ensures that both partners are able to step away from their business without having to worry that your clients are left out in the cold, or worse, traveling with you. Once a month, meet over lunch or at the office with your partner and share. What’s worked for you? What hasn’t? What’s going on in the market? Talk about business and only business. Be creative and share openly with each other. Help solve each other’s problems. Be a resource. Strategize, plan and proceed. An accountability partner is an easy transition for working partners. Set your goals for the week and share them every Monday. The next Monday go back through last week’s goals and celebrate each other’s successes, talk through shortcomings, and go over this week’s goals. Don’t be easy on each other. Hold their feet to the fire and expect the same from them. Iron sharpen irons. You might find that the next step in your partnership is to team up and share some costs on marketing, share some event planning for your clients, share more of the day-to-day operation of your systems and processes. This can help you take advantage of efficiencies in pricing, expand your reach, and grow faster than you could on your own. The next natural step in this growing partnership is to consider becoming a true team. If you’re already sharing goals, strategies, cost centers, and marketing, why not just make it official and call yourselves partners. You’re not fooling anyone at this point. There’s a whole other blog post or three about how to do this the right way, but, for the purposes of this post, we’ll just stick to the evolution from working partner to team. You certainly don’t have to do any of these extra things with your working partner, but why not? Why not expand your business, reach new highs, and help another agent do the same? Once you have a good working partnership in place using the criteria from the first part of this post, go for the gold and make your partnership a part of your business plan. You never know where it might lead you.